Last Saturday was a beautiful spring day, and the perfect weather for spending a day sampling some of the finest refreshments to be found anywhere. 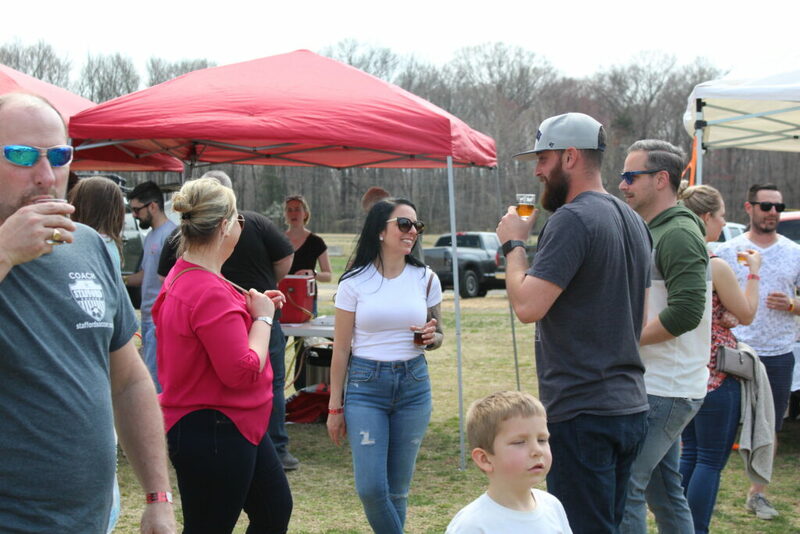 The 2019 Spring Fredericksburg Brewfest boasted over 40 breweries from all across the country with more than 80 craft beers on tap, 4 cideries, 3 distilleries, and a winery, as well as the Fredericksburg Brewing Insiders Homebrewers showing off their skills with a brew kettle. Now I’m not going to name all the breweries present at this festival, but I can give you an idea of the wide variety of craft breweries represented. There was Abita from Louisiana, Collective Arts from Canada, Dogfish Head from Delaware, Elysian from the state of Washington, Firestone Walker and Left Hand from Colorado, Goose Island from Illinois, Lost Coast from California, Ommegang from New York, Peak from Maine, Uinta from Utah, and Wicked Weed from North Carolina. Not to be out done, there were many Virginia breweries showing that Virginia Craft Beer is second to none. Fredericksburg’s own Adventure, Highmark and Strangeways Brewing, Ardent and Steam Bell Brewing from Richmond, Barley Naked in Virginia Beach, Devils Backbone in Lexington, and Starr Hill from Croset were just a few. And of course, setting some very high standards for what a cider should be, Virginia’s Bold Rock, Wild Hare, and Cobble Mountain cideries. And did I mention distilleries? Belle Isle Craft spirits, KO Distilling, Virginia Distillery, and Fredericksburg’s own Bowman Distillery were providing some excellent reminders that grain can be used for more than just brewing beer. Last but not least, Mattaponi Winery was pouring what could only be described as remarkable examples of the fruit of the vine. And if you got hungry? Well, there was plenty of food available to pair with your favorite beverages such as pulled pork, ribs, cheese steaks, pizza, fish tacos, po boys, and so much more! And to make this event, complete, there was excellent live music throughout the event. Great times were had by all, and if you were there you know what I’m talking about. And if you were unable to make it, well, I wish you better luck next year. Field Dayz Fest in Colonial Williamsburg VA! Previous story Richmond County is Getting its First Craft Brewery! Fredericksburg's Imbibe Craft Beer and Arts Festival!! A new festival hits the region in just under 30 days featuring craft beer, art, music, games, and education. Organizers from Fredericksburg-based Eastern Sports Management (ESM) will produce the annual touring event at the Fredericksburg Field House on April 6, which was previously held in Virginia Beach. The festival’s inaugural Fredericksburg date will be headlined by three-time Grammy-nominated southern blues-rockers North Mississippi Allstars with support from Virginia’sPeople’s Blues of Richmond and The Trongone Band. “I like to think of it as an intimate music festival with ridiculously good beer,” says Kristi Finigan, Director of Regional Business Development for ESM. Upwards of 40 Virginia breweries will be in attendance with several others coming in from out of state. Imbibe will also feature a curated Artisan Market featuring around 20 regional artists who will be showcasing their handmade wares throughout the event. 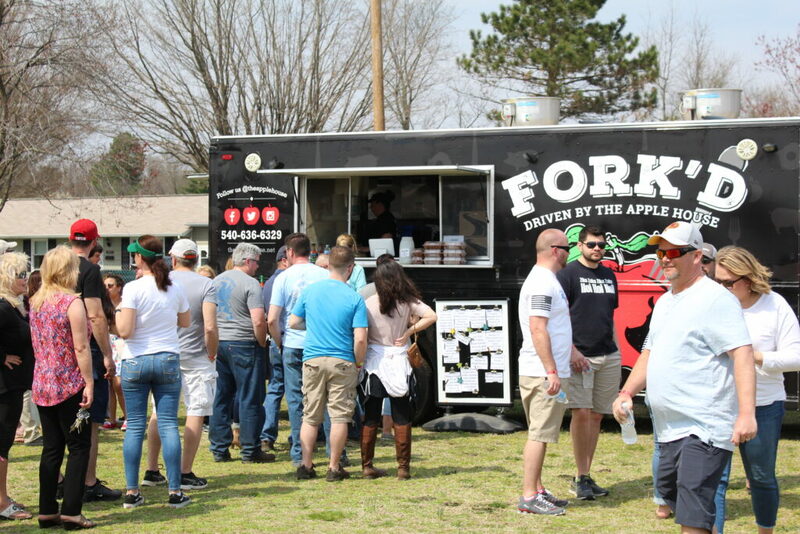 Food trucks from as far as Richmond will make the trek to serve up food to guests. The festival also provides a Craft Soda Garden for non-drinkers or anyone looking to take a step away from the libations for a bit. With more than 20 styles of handcrafted sodas and kombuchas poured in this area alone, everyone will be able to enjoy a unique tasting experience as their friends. “I think what sets us apart from so many other festivals in the state is our focus on education. There are a vast array of fantastic artisan brewers here in Virginia, but there’s so much more involved in the craft beverage scene, especially here in the Commonwealth, and we aim to showcase as much as we can on our BrewU Education Stage. It really sheds some light on some of the farmers, purveyors, chefs, mixologists, distillers, and historians that can very effectively tell the story of Virginia’s beverage industry as a whole.” This stage will play host to industry professionals including renown Virginia beer historian, Lee Graves, as well as leaders from the University of Richmond, Murphy and Rude Malting Co., 1781 Brewing Co.,Adventure Brewing Co., Stafford Brewers Club, Spencer Devon Brewing, and the list goes on. The festival rolls out its full BrewU Craft Education Stage lineup at 2 pm today on its website. Indian Motorcycle of Fredericksburg will be debuting two of their never-before-seen models at the event as well as presenting the event’s VIP Experience. Here, patrons can take advantage of premier views of the Main Stage, early entry to the festival, indoor restrooms, specialty brews unavailable elsewhere on site, and unique tasting experiences from Catoctin Creek Distilling Co. and Belle Isle Moonshine. VIP tickets are limited and include all of the above for $75. Also being announced today is the Official After Party which will be held just down the street from the event site at Strangeways Brewing Co. Admission is free, and attendees can expect live music and abundant food options from RVA’s Smohk food truck. The festival has partnered with Fredericksburg’s Towne Place Suites who is offering a discounted room block, which is available on the event website. Guests may purchase a $10 round trip shuttle pass at the time of booking their tickets and room so that they may leave their vehicles at the hotel and enjoy a safe ride to and from the event. 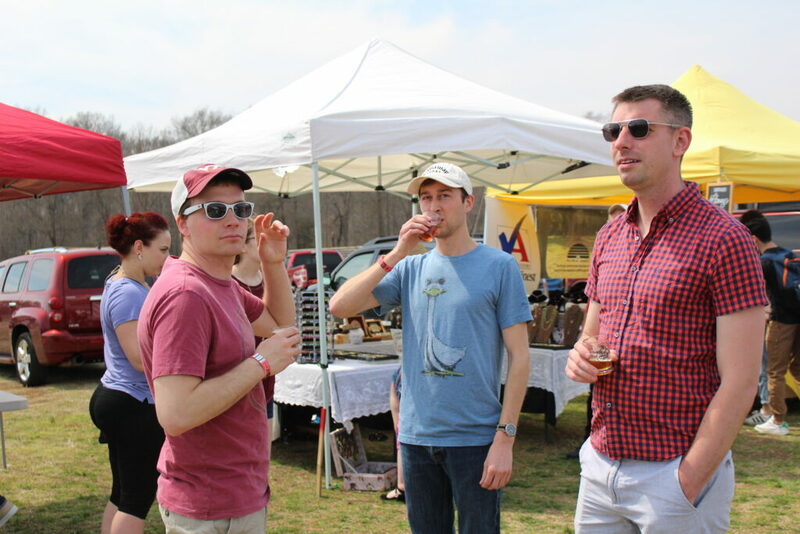 The Imbibe Craft Beer & Arts Festival is exclusively 21 and up and takes place at the Fredericksburg Field House at 3411 Shannon Park Drive, Fredericksburg, VA 22408. Hours are 1 pm – 6 pm for VIP ticket holders ($75 while supplies last) and 2 pm – 6 pm for General Admission ($45 in advance, $55 at the gate, if available). To purchase tickets and get more information on this event including a full list of participating breweries, artisan vendors, musical acts, accommodations options, schedules, and volunteer opportunities, visit www.imbibeva.com. Interested parties may also follow the event on social media using their handle, @imbibeva, and #imbibefxbg. Folks will get a small taste of the city with the 2nd Annual Richmond Raceway Craft Beer Fest in the Covered Arena prior to the TOYOTA OWNERS 400 Monster Energy NASCAR Cup Series race on Saturday, April 13 from 1 p.m. to 5 p.m. The track has partnered with the Virginia Craft Brewers Guild to bring this festival to fans. You don’t need a race ticket to join in the fun. Breweries will bring two of their flagship beers. Fans can taste each of these unique offerings from various breweries across the state. With a ticket, you will receive unlimited 4 oz. tastings of all craft beers. Fans who have already purchased a ticket to the TOYOTA OWNERS 400 Monster Energy NASCAR Cup Series race on Saturday, April 13 can add on the 2nd Annual Richmond Raceway Craft Beer Fest for an additional cost. With a ticket to the Richmond Raceway Craft Beer Fest, fans will have access to unlimited 4 oz. tastings of various craft beers from around the area. RICHMOND NATION NASCAR Season Ticket Holders will receive a $5 discount by calling 866-455-7223 to order. Click here to purchase your advance tickets on-line. Come be a part of RVA’s newest favorite event! This is a 21 and up event; ID’s will be required at check-in. This inaugural RVA Field Day will feature the following breweries: Wicked Weed, Boston Beer Company, Legend, Lickinghole Creek, Strangeways, Devils Backbone, Starr Hill, Steam Bell, Three Notch’d, Hardywood & MORE! Area Vendors attending: Lisa’s Corn Hole Bags, Pop Pop’s Kettle Corn, Saturday Shoppin, Richmond Window Corp, & MORE! Thank you to the sponsors: River City Sports & Social Club, Fruit Fixed, Tang & Biscuit, Boston Beer Co., Wicked Weed, Lidl, and more TBA! FREE ADMISSION! Sample 30+ Virginia and regional craft beers, live music, food trucks, and craft vendors Saturday, April 20, 2019 in downtown Hopewell! Samples are $2 for 5 oz tastings for most beers. Sample as many beers as you wish, however, please drink responsibly. Event is all ages, however, only ages 21+ may sample. The 6th annual Williamsburg Craft Beer Festival will feature 50 craft beers from 25 craft breweries. Enjoy delicious beer, live music and food available for purchase from Prost Food Truck and Old City Barbeque. Ticket prices are $35 for general admission and $60 for VIP tickets. Admission for all includes a complimentary 16-oz tasting glass and unlimited 4-oz pours. VIP tickets include access to a designated VIP area including limited release beers and private bathrooms, early access to the event (at noon), and a complimentary food item. Visit www.eventbrite.com to purchase tickets. • Here for the Girls, Inc. This event has generated more than $100,000 over the past five years to benefit these area organizations.